Autumn is one of our most favourite time of the year. There’s nothing quite like crunching through the leaves in your wellies, admiring the impressive wild mushroom displays and searching for horse chestnuts. 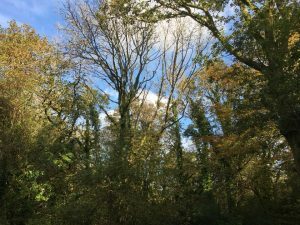 We are lucky to have our own woodland here at Tresarran, which includes a streamside walk, our orchard, the meadow (amazing for frog spotting) and deer park forest just next door. But we also have our favourites further afield and the three that top the list are Cardinham Woods (https://www.forestry.gov.uk/cardinham), Kilminorth Woods and Tehidy Country Park. serving wonderful locally sourced food in front of an open log fire.